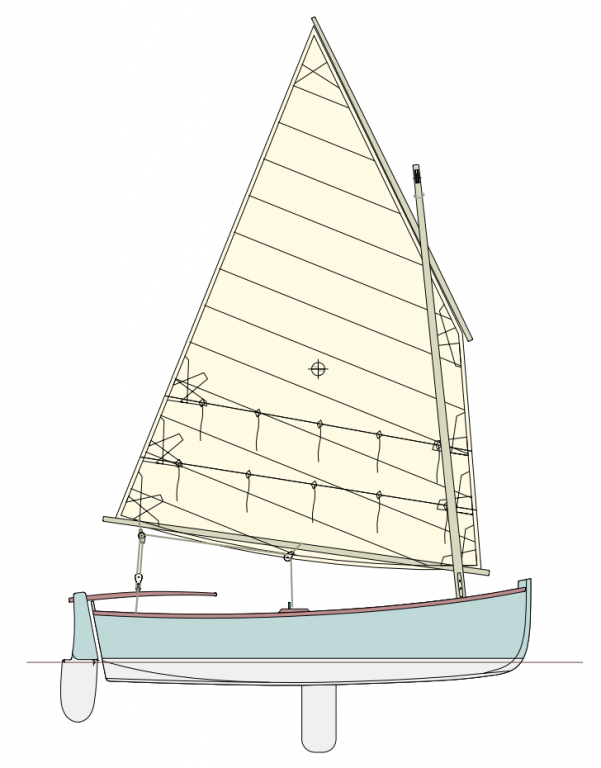 Up to now, I proposed several designs of small boats, tenders or sailboats, from 7 to 12 feet: Morbic 8, 10, 10.5, 12. All have a plywood lapstrake planking. 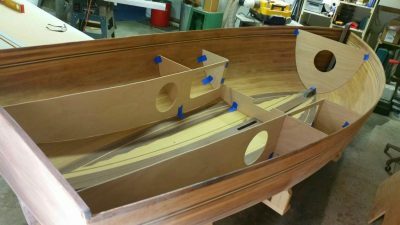 At end of 2016, an American home builder asked for a strip planked version and a boat light enough for easy transportation but still a good sailboat. Thus was born the Morbic 11. Gary Brown has now well progressed. The hull is nearly finished as you may see in the picture. Morbic 11 is 3.35 m long, 1.52 m wide and 68 kg empty weight. She will be added to my catalogue of plans soon, at least in English. The boat may be built from the plan package only. The price of the plan, send by e-mail as pdf file, is 100 € (excluding VAT).